The Triton Poker Series in Jeju, Korea has reached its climax with Timothy Adams taking down the Main Event and Timofey Kuznetsov winning the final No-Limit Hold’em Short-Deck event. The Triton Poker Series has pulled down the gold carat shutters for another two months, and Timothy Adams is the newest Triton Poker Series Main Event Champion after beating Bryn Kenney, heads-up, in the Landing Casino, Jeju, Korea over the weekend. It’s an incredible achievement for Adams, considering he was one of a bevvy of players sparked out by a virus earlier in the week, but the Canadian managed to jump out of his sick bed, bloodshot eyes and all, to bank a personal best fortune of $3,536,550. The HKD 2m (USD 255,000) buy-in event attracted 48-entrants (16-re-entries), and six of them finished in the money after Adams busted Event #1 winner, Justin Bonomo on the bubble. The final table sped along like lightning. Two players hit the rail in the first two hands. 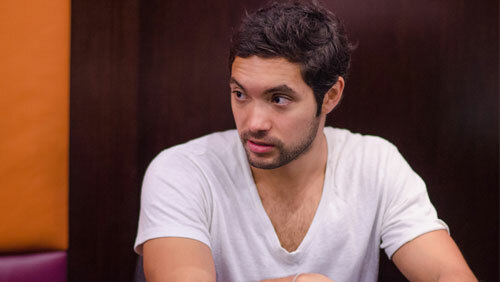 In hand one, Bryn Kenney opened with pocket kings, and then called when Isaac Haxton shoved 25 big blinds holding ace-nine. The hand held. In the next hand, David Peters shoved ace-three from the small blind, and Peter Jetten called and clobbered him with KTss from the big blind after flopping a king. Jetten was making his second final table of the series, but he would win neither, after getting the money in on KsQh5s holding Kh9h for top pair only for Kenney to show up with pocket kings for top set. Jetten exited in fourth place. Dan Smith was the next to fall by the wayside after losing K8o to the A2o of Kenney, sending Adams to face Kenney, heads-up, with less than four hours of action spent. 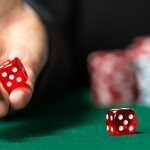 Both Kenney and Adams have been sparring for two decades, so it wasn’t a surprise when the pair carved out an ICM deal, leaving both players happy, and HKD 4m in the middle. The final hand was a heart-breaker for the Aussie Millions Main Event winner, after Adams’ 85o bested Kenney’s A4o, despite Kenney flopping trip fours. Running fives on the turn and river handed Adams a boat and his first seven-figure score. 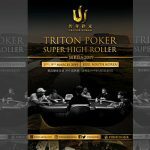 The Triton Titans were having so much fun they decided to add a last minute HKD 1m (USD 127,000) No-Limit Hold’em Short-Deck to the schedule. 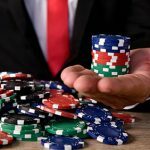 The two-day event attracted 23-entrants, and a prize pool of HKD 34,780,000 (USD 4,430,604), and Timofey Kuznetsov picked up a rare live tournament title. 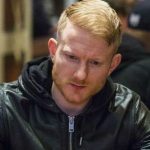 Trueteller is more commonly associated with cash game action, but the partypoker ambassador won the $1,859,940 first prize after eliminating every after the money bubble had burst. Furkat Rakhimov was the first to feel the power of the Trueteller when AK beat KT all-in pre-flop. Choon Tong Siow’s AT failed to beat Kuznetsov’s pocket queens, and his heads-up opponent, Robert Flink, would fare no better when he lost the final flip of a fantastic series AK<JJ. The win was Kuznetsov’s second of his career, the other victory coming in a $50,000 High Roller at ARIA in 2016. 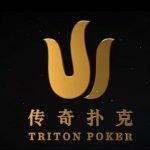 The other two ITM finishes include a fourth in the inaugural Super High Roller Bowl for $2.5m, and a fifth-place finish in an HKD 250,000 No-Limit Hold’em Six-Handed event in the Triton Poker Series, Manila back in 2017.